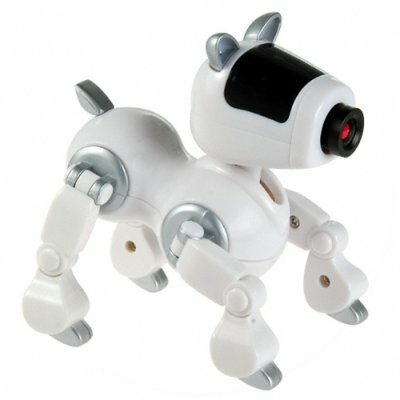 Successfully Added Posable Dog Web Cam - Computer Video Camera to your Shopping Cart. Stylish web camera with a bendable dog design. This handy desktop mate will have you connected to video webcalls in moments with high quality and speed. A great computer add-on for any person who wants to have fun or improve business communication while online. The webcam contains a 350 kilopixel CMOS sensor with easy manual lens focus adjustment. Posable dog design allows 360 degree adjustment of viewing angle, so it is not only cool to look at but also very functional. Webcam in posable and adjustable Dog design. Good quality USB powered digital camera and video for computer. its just the best webcam i had. u dont need drivers for windows OS (just plug and play). it also work on Linux OS. absolutely recommend it!! !